The children can be provided with a school cooked meal or a healthy lunch box option. They are supervised by paid Lunchtime Supervisors. Children opting for a school lunch can choose from a variety of options. If there are any specific dietary needs, please let us know and we will try to help. If you wish to bring a packed lunch from home it must be in line with our school food policy. Milk is available daily for all children who wish to have it. Parents who wish their child to have milk and are not entitled to free milk need to speak to staff in the office who will advise what the termly cost is. Fruit is available free of charge for all Foundation Stage and KS1 pupils. We hope to introduce a healthy eating tuck shop for KS2 pupils as soon as possible. The School has achieved the Healthy Schools Award. The school actively encourages healthy eating with the distribution of free fruit every morning for FS2 and KSI children. KS2 children can purchase fruit at the morning break and milk can be ordered through the school office. Free milk is provided for those children under 5 years of age and those in receipt of free school dinners. Water is provided all day in classrooms and the dining room. The level of tooth decay among our children has fallen in recent years following the introduction of our healthy snacks policy. The children can be provided with a school cooked meal or a healthy lunch box option. 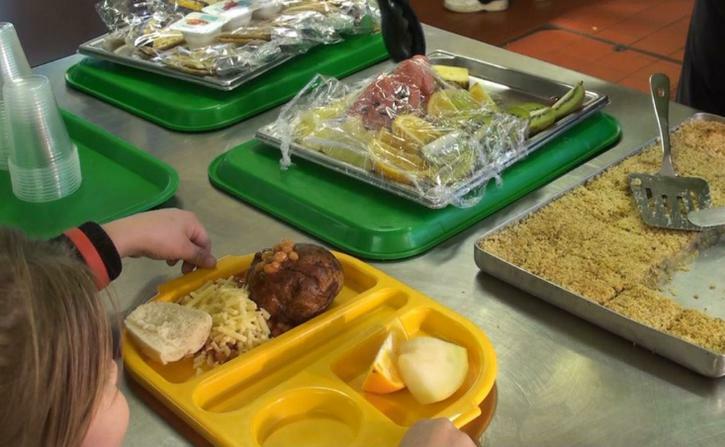 Children opting for a school lunch can choose from a variety of options. If there are any specific dietary needs, please let us know and we will try to help. Dinner money can be paid any morning between 8.00am and 9.00am through which is payable through the cash machine lthe cashless system located in the dining room using your child’s unique pin number which is allocated on admission into school. Application forms for free school meals are available from the School Office. Please apply for free school meals well before your child starts school. Children who do not wish to have a school meal may bring a packed lunch. This should be in a sealed container and labelled with your child’s name and class. Our school has a Food Policy and if you wish your child to bring a packed lunch from home it must be in line with this. In line with this policy we do not allow children to bring chocolate bars and sweets as part of their packed lunch. We ask that in line with government guidance on nutrition for pupils within the school setting, children bring only water, pure fruit juice or a milk drink (no fizzy drinks) to have with their packed lunch from home. We run a Breakfast Club between the hours of 8.00am and 8.40am. The Breakfast Club offers a range of breakfast foods to ensure that children get a nutritious start to the day and we provide every child attending with a free piece of toast and a drink. We request that every child below Y3 is accompanied to Breakfast Club by a parent/carer. A register of Breakfast Club attendees is taken daily.